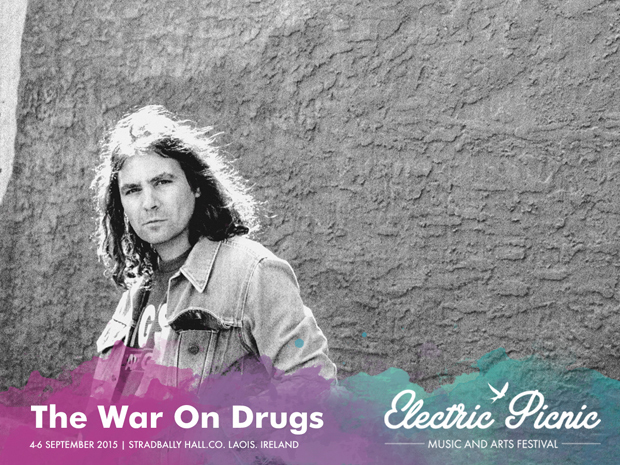 We are delighted to announced that The War On Drugs will be performing at Electric Picnic 2015. After getting nominated for Album of the Year 2014 by a raft of different music critics around the world for ‘Lost in the Dream’, The War on Drugs will be bringing their Americana psych-rock outfit to Stradbally Estate in 2015. The band’s frontman, Adam Granduciel creates a sound that resides at the blurred edges of American music. After moving from Oakland, California to Philadelphia in 2003, where Granduciel met Kurt Vile and began playing music with him, they began playing as The War on Drugs in 2005, and self-released a demo EP. While Vile and Granduciel formed the backbone of the band, they had a number of accompanists early in the group’s career. Despite recent band changes, the sound remains authentic and Granduciel’s voice steps out from behind its typical web of effects—louder now, with more experiences to share and more steel from having survived them.